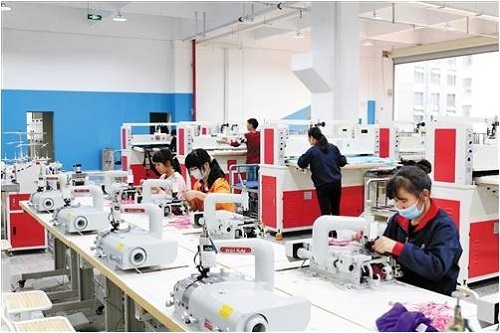 Since the beginning of this year, all counties and districts or development zones in Nanning have conscientiously implemented the deployment of the CPC Nanning Municipal Committee and the Nanning Municipal People’s Government, focusing on the establishment, supplement, extension and strengthening of the chains, in order to take the initiative in the “Crucial Year for Industrial Investment Attraction”. It is known that the departments directly under the municipal government and the Wuxiang New District have classified into 6 special investment attraction groups to carry out investment promotion work in an all-round way. In the first quarter of this year, the city has got a total of 105 newly signed, commenced and invested projects, with a total investment of 51.6 billion yuan: 5 in digital economy with an investment of 990 million yuan; 7 in big health with an investment of 2.53 billion yuan; 6 in cultural tourism with an investment of 15.43 billion yuan; 11 in modern agriculture with an investment of 1.65 billion yuan; 54 in industrial manufacturing with an investment of 10.76 billion yuan; 6 in trade and logistics with an investment of 13.1 billion yuan; and 16 in the other industries with an investment of 7.14 billion yuan.